Your dream business might feel far away when you start a salon, but creating an actionable plan can help. With a salon business plan, you’ll achieve your objectives, stay focused, and be successful. 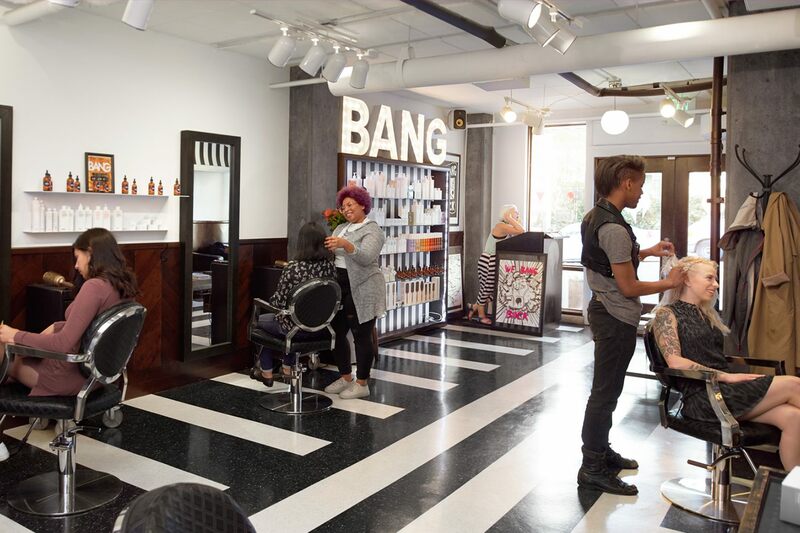 Here’s how to create a salon business plan that will help you get off the ground. An executive summary serves as your plan’s overview. Think of the summary as a clear, concise preview for the reader of what’s to come. Your executive summary should include the objectives of your salon and your mission statement. Use it to paint the big picture. The summary should include your business keys to success. For example, you’ll need a talented staff that can provide good customer service. You’ll also want a comforting environment so your patrons enjoy being there and want to come back. Writing these down will help you live them out later on. Your company description should include the most important parts of your salon, like the theme/concept, location, and your target market. Think of this section as the “who, what, when, where, and why” of your business. A concept salon may be a salon that exclusively cuts kids’ hair or only does blowouts. If you specialize in a certain cut or you plan to be more upscale vs. everyday, write out how your salon fits into one of these categories. Your salon’s location is also part the description. A solid location is key to attracting new customers and keeping them coming back. Determine how much foot traffic your storefront will have, whether your customers have access to parking, or if there’s nearby public transportation. Surrounding businesses can be of help as well — you might partner with other local shops or restaurants for special events or promotions. Show that you know your stuff by providing insights and trends into the beauty industry along with your market analysis. A market analysis looks at the size of the market both in volume and in value, the competition, and the economic environment in terms of barriers to entry and regulation (this can be done qualitatively and quantitatively). Then, provide a competitive analysis of your market and location. You’ll want to include who has the biggest market share, how close your other competitors’ salons are to yours, and what advantages you’ll have over the competition. Strengths – What does your business do well? What’s your competitive advantage? What resources do you have? Weaknesses – What might limit your ability to gain the competitive advantage? Where can you improve? What inhibits your sales? Opportunities – Are there changes in the market? Are there new industry trends you can take advantage of? Threats – What obstacles do you face? If you’re a salon that plans to make a lot of money on keratin treatments but Magic Sleek is on the rise, you should plan for that. Include all the services your salon will provide to clients and the products needed to fulfill those services. Discuss product sourcing and the vendors you’ll buy your products from. Will you be able to buy from wholesalers? And once you purchase all your products, what will your inventory management system be? Inventory management is key to a successful salon that yields profits quickly. As an element of supply chain management, inventory management includes aspects such as controlling and overseeing ordering inventory, storage of inventory, and controlling the amount of product for sale. You don’t want to run out of product or overpay in a rush. Compelling evidence and reasons why customers in your target market can have confidence in your differentiation claims. Your target market is the group of people that are most suited to your products and services. It’s essential that you understand them by analyzing your offerings, doing research, assessing your competitors, and creating customer profiles. Lay out your pricing strategy. It should take into account your business goals and what pricing looks like in the market. Evaluate how the lower-cost salons price services as well as the higher-end ones. Think about how pricing could play into your competitive advantage. You’ll need a promotion strategy so new customers know you exist. You want to start by making sure you have your digital channels up and running. A website is key, as are profiles on review sites. And don’t forget about social media. Social media is a low-cost way to acquire new customers and increase the visibility of your brand. Think about how you will use each channel. Facebook: what type of content you’ll be posting. Twitter: to find new customers. Think about how you’ll run regular campaigns on these channels to get people through the door. On-site marketing programs will also help draw in customers. Plan out any rewards and loyalty programs or referral incentives you plan on using. You also might want to offer discounted services or packaged/bundled services to first-time or returning customers. You’ll need to determine the legal structure of your business, which is also referred to as a business entity. The form of business you choose helps to determine the income tax return form you have to file, so it also affects your business’s bottom line. Types of entities include sole proprietor, general partnership, limited partnership, LLC, and corporation. You should also plan out your business’s organizational structure and how many team members you plan to start with. Write out who is on your management team and the rest of your personnel needs. How many stylists, specialists, and hair washers will you need? The goal of your financial plan is to determine how your business will afford to achieve its strategic goals and objectives. In your financial plan you’ll discuss startup costs, funding options, a break-even analysis, and projected profit and loss, as well as cash flow. List out your salon startup costs — this includes everything from client chairs to hair dryers and products. It’s important for investors to see how much money you need to spend up front and how long it will take to break even. Next, discuss your funding options. Are you self-funded? Or do you need a large investor to make your dreams come true? This also determines how quickly you can grow the business and yield profits. Finally, round out this section with a break-even analysis so it’s clear how much revenue you need to justify your spending. You’ll also want to discuss a profit-and-loss model (as well as the cashflow you’ll need) and how you’ll manage a balance sheet.